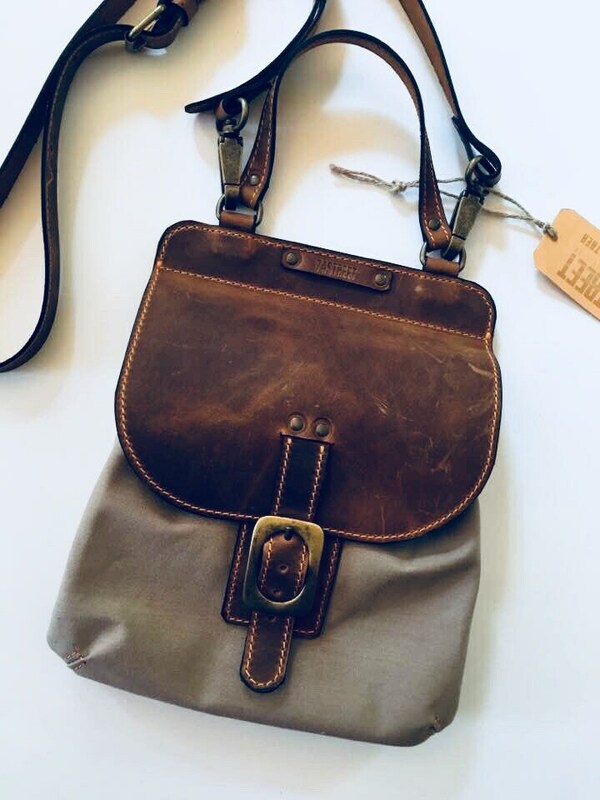 Peter Pan Leather Satchel - Leather and canvas Cross Body Bag - Rustic industrial design , is the perfect leather satchel if you go out walking and you need a bag for your phone, heys, etc. Made in a thick, strong, sturdy and durable oil-tanned leather in a variety of brown shades, the Peter Pan Leather Messenger Bag is stitched with industrial-grade cotton treatted stitching and features heavy-duty metal hardware. 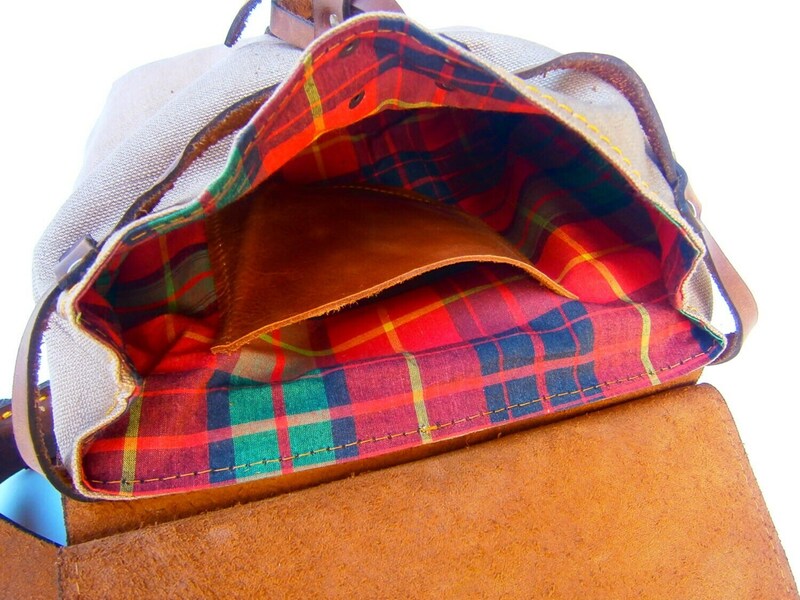 A removable, adjustable strap mean you can wear this bag over your shoulder or cross body. Features a large interior pocket in addition to the main compartment, perfect for storing your Ipahone or any smartphone you might have to keep it protected from everything else. Doubled enclosure one with bronze buckle and another one inside underneath the flap with a thick leather strap. 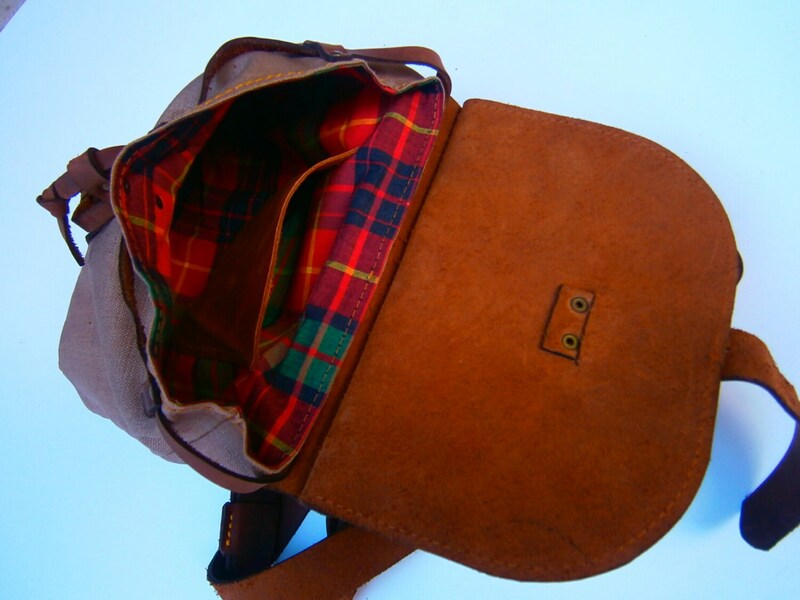 The pictured leather is brown with a vintage aspect. Sand canvas.